Born in Quito, Ecuador, South America, Stahl began his passion for singing at age three. After his family moved to America, he was raised in Idaho where he excelled at classical music and sports. Stahl was trained classically on the violin, but also took up rock guitar. His love of live music developed quickly, as he joined many local rock bands while growing up. Stahl also developed a love for the interpretative styles of many famous opera singers, as well as many pop singers including Sinatra, Dean Martin, and Elvis Presley. 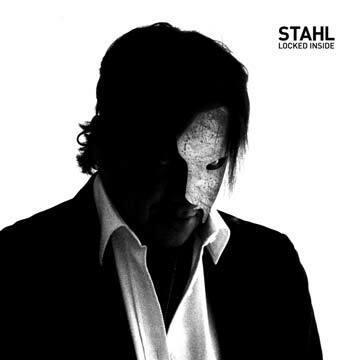 Stahl took private vocal lessons for several years and was part of many choirs, as well as a soloist for the Youth Symphonic Orchestra of Ecuador and San Francisco University, where he also studied engineering and music. He has played various instruments and interpreted numerous genres of music, from rock to jazz and opera in numerous recitals, concerts and, events for the past ten years. Stahl's musical style is warm and fond of using different colors in his voice. He has a wide vocal range with deep, dark metallic tones that are characteristic of the traditional Italian school of singing. His repertoire ranges rock and jazz to show tunes and opera. The quality, versatility, and maturity of his voice and his interpretations have earned him numerous local awards and the promise of a wonderful and exciting career. Recently, Stahl has been studying under Maestro Aldo Verrecchia, a famed Italian singing teacher and a vocal coach at the Teatro Alla Scala in Milan. His CD, "Locked Inside," marks the debut international release from this exciting new artist.